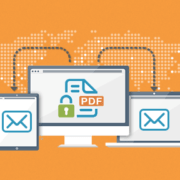 Ensuring only members can access your documents is no more important than controlling how they are used, where they are used, and for how long they can be used. 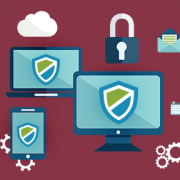 Document DRM protects your documents against unauthorized use, misuse, and piracy. Identify any profession or calling or like-minded grouping of people, and you will find a membership organization providing services to it. There are even (I find) organizations that provide membership services to membership services companies! So whether you are a lawyer, or use a particular accounting package, or almost anything else, there is an organization out there that is set up to make sure that membership customers get involved with other people of a similar disposition, have the opportunity to have the latest relevant information at their fingertips, and so on. This is highly recognized (and heavily traded on) by Google, Facebook, increasingly Microsoft, and many others as a venue for selling targeted advertising to Internet users. So there is a serious competition between advertising vendors who reach into market spaces by studying what it is that people are interested in (and selling products to them) taking a share of what used to be the privilege of the membership organization – to act as a focus for selling advertising, conferences and other supplies to a defined (however specialist) market that is of interest. What is the membership space? Now there are some natural boundaries in customer ‘ownership’ that are fairly obvious. 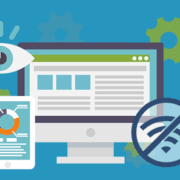 Advertisers such as Google do not (currently) find it attractive to do more than offer advertising focus to definable groupings based upon abstract search terms. Advertisers such as Facebook have visibly targeted groupings for common interests, and Linkedin and similar systems have been set up specifically to focus on commercial groupings, and to encourage communities to form (very much as Compuserve did before being taken over by AOL in 1997) by like-minded people who set up their own groups. So there is competition for membership services coming from the advertising community. But that is based upon the community itself being self-organized and experience going back to the 1970s suggests that there is a market for membership services if you can get the mixture right and deliver added value to their members. Generally it is information you send out that has the added value – specialist conference documentation is a good example. So are briefing magazines, ‘how to’ documents, monthly bulletins about that sector, access to reduced cost services through membership benefits and so on. So the added value is in at least in the paid for documents distributed to the membership. And if those can just be given away by any recipient, then they have no perceived value. This is particularly so when you are using the Internet to circulate the information you are providing to bona fide members. So making members feel that they are receiving something of value unique to their membership fee is very important. 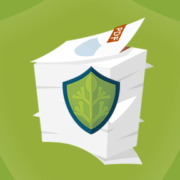 What do you need to protect your documents? And this is where Digital Rights Management (DRM) services come into play. Essentially DRM allows you to decide which documents get to be available to whom, and with what rights (can you print, view offline, view a number of times or until a given date). And that matters because you will want some documents (advertising) to be available to anyone. Other documents, such as newsletters, will be available to all members and could also be for people who have registered an interest (signed up to accept emails) and would contain some marketing materials mentioning the benefits of membership and items that are available to members. Finally there are the documents for members only. These can include conference materials, special reports and industry analyses. These need to be protected because they are the member benefits. 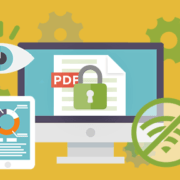 Document DRM also provides accountability – enabling you to track who has viewed and printed individual documents and when this occurred. So a document DRM provider has to meet some subtle requirements to satisfy a membership system. The biggest requirement is to be able to process memberships automatically. Membership, and associated rights start on the day the member joins and typically last for a year before renewal. So access rights need to switch on and off with the membership dates for any member. 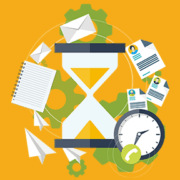 Locklizard Document DRM allows you to define start and stop dates for membership periods, and to be able to extend them on renewal, providing a seamless service to members. Further, if you have back issues of documents as a library, you can set the start date to be in the past so that new members also have access to the historic materials available (this can matter a lot when laws or standards are involved and part of your service is providing information on what something was at a point in time). You can also set up a system where ex-members still retain the right to access materials published during their membership once their membership has ceased. These features greatly simplify managing members as distinct from customers or users. For most membership systems there is a need to publish a key newsletter every two or three months, perhaps have monthly ‘fliers’ now that email distribution works so well, and to have one or more conferences where the proceedings are published. Here Safeguard Document DRM has another key feature for administering membership documents – the publication. This concept allows you to link the publication to members instead of having to allocate documents one-at-a-time to each member. It has the advantage that if you have allocated a publication to a member, any document you then protect to that publication automatically becomes available to the member during the term of their membership. So you can see that if you have a publication – General distribution – you can allocate all the registered users and members that publication, and then any document you protect to that publication is immediately available to every member allocated General distribution. And if you have another publication – Quarterly briefing – you can allocate it just to members. Then when you protect documents to that publication they automatically become available to all members, but nobody else. Finally, each collection of conference proceedings can be a publication – Washington Spring 2017 – Denver Fall 2017 – and so on. Then you can protect all the conference documents to their own publication and allocate that publication to the delegates (and the members if that is appropriate). Conference delegates can also be issued with a USB stick with all the conference proceedings on it for their immediate use at conference registration. All this is in the context of knowing that the value of membership to members is not diminished by piracy or having valuable documents loaded onto Torrent web sites for free distribution to the Internet. Also, because DRM encrypts the documents, it effectively hides the document content from being found by advertisers. This means they cannot be indexed or referred to in web searches and documents cannot be discovered and linked to by the search engines. This prevents the accidental diminishing or the value of private membership information, or its being used by people who are not members. If it is necessary to allow documents to be printed, you can incorporate watermarks that identify who the original licensed user was and who the copyright owner is, to persuade members and delegates not to photocopy or scan printout for circulation to non-members. Appropriate Document DRM offers membership organizations valuable tools and techniques for expanding their services to members, at the same time as creating protection from having advertising organizations step into their market using web extraction techniques rather than by originating content. Suppliers such as Locklizard have gained significant experience in developing and supplying document DRM and administration services in support of membership organizations and are well placed to support your objectives without going into competition in that market.